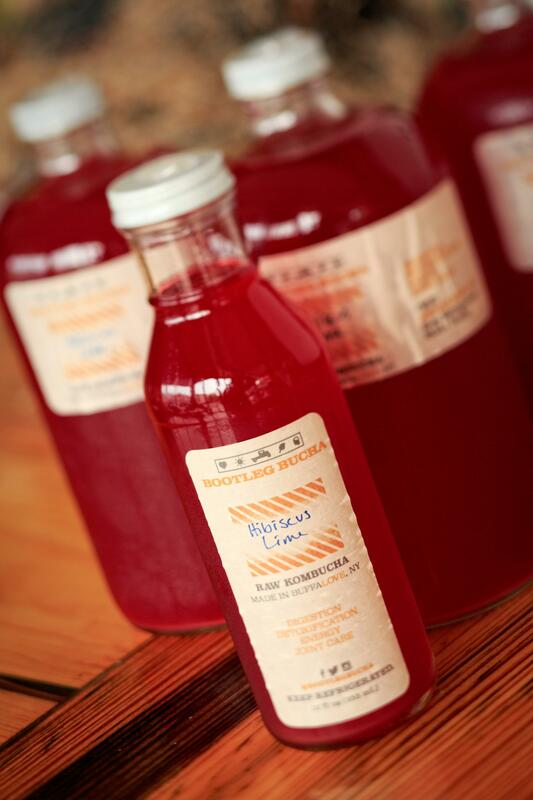 Hibiscus Lime is just one of the many kombucha flavors sold at Bootleg Bucha. The SCOBY (Symbiotic Colony Of Bacteria and Yeast) used in Kombucha is beneficial to gut flora. 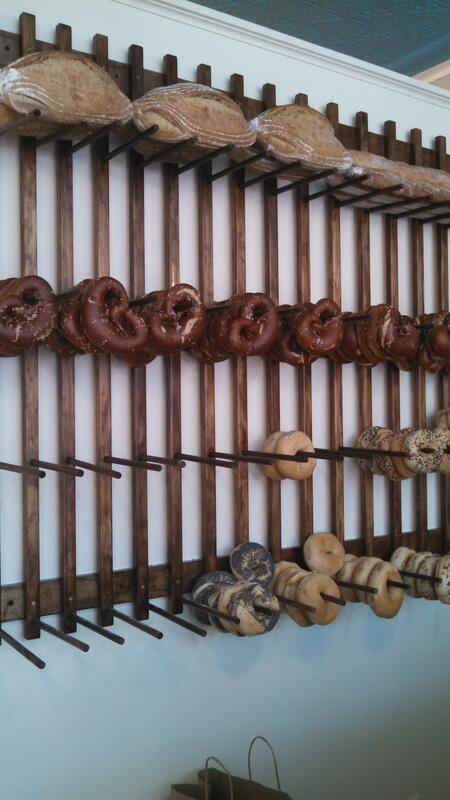 Baked goods at Breadhive go through the fermentation process. Breadhive recently opened a cafe selling sandwiches and other products using their homemade bread. Bootleg Bucha, a local kombucha producer, opened a new facility at 1250 Niagara Street in August that is four times the size of its previous location. Bucha business is booming and co-owner Jeff Empric talked about how he got his start. "My path to kombucha was through probiotics. I had had acid reflux pretty much since college and was taking either Zantac or Prilosec. After visiting with an acupuncturist, he got me into probiotics and started teaching me about those and I was able to get off the Prilosec. And through that, I started researching more on probiotics and found kombucha, and started brewing it at home," said Empric. You must have learned about the microbiome. How does fermentation play a role in that? 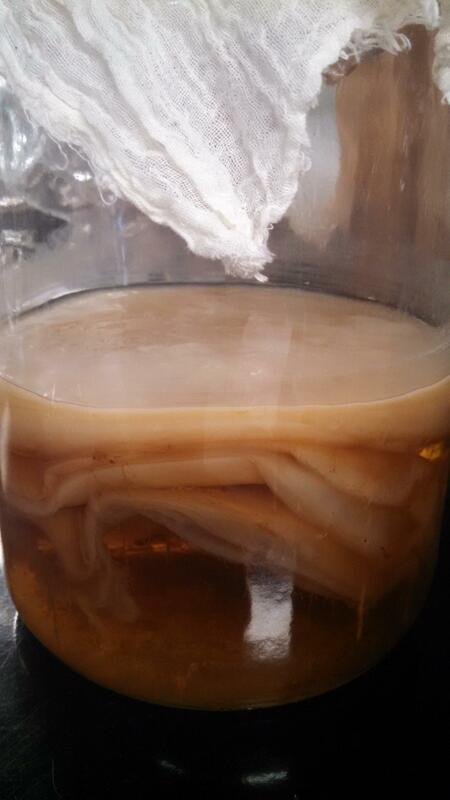 Kombucha is fermented, right? "Yes, it’s fermented. Similar to beer and wine and other things, it’s fermented with yeasts and cultures in it. The difference with kombucha is that it has a culture of yeast and bacteria merged together, which is commonly known as a SCOBY (Symbiotic Colony Of Bacteria and Yeast) and that is the good stuff—the bacteria that helps balance your gut flora, as well as the yeasts that are good for your system, as well. And that’s what drives the fermentation process." So, what exactly is kombucha? "Kombucha, in essence, is immature vinegar, in a sense that it’s a fermented product, which is tea and sugar based. It’s a mix of teas. We use a proprietary blend we’ve come up with over time, and it’s a mix of greens and blacks that gets brewed, fermented, sugar added, as well as culture, bacteria and yeast, and some starter tea. And then you ferment it, and through that you get a very smooth, slightly sour fermented tea product that you can then work with in terms of flavoring and different aspects." How many flavors do you usually have at one time? "It seems to continuously grow. But, at one time we probably have about twelve different flavors available. Since we’ve been going commercially, which is just about a year now, I think we’ve done somewhere around forty different flavors. Some we move in and out seasonally. 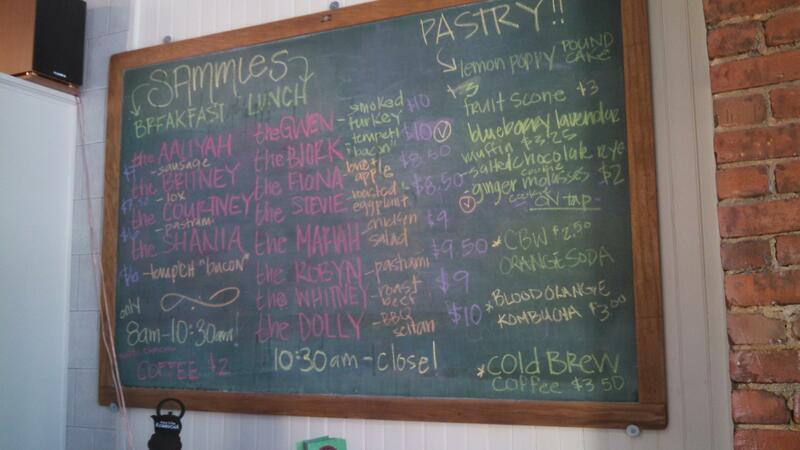 We have some fall flavors and we have some summer flavors that are on the board right now. And we’ll continue to grow that and hone the different flavors based on what people want." Breadhive Bakery has grown since it graced the cover of the March 2014 issue of Buffalo Spree. The worker-owned cafe and wholesale bakery, located at 402 Connecticut Street, bakes bread, bagels, and pretzels daily using a sourdough starter, fermented right on the West Side. Co-owner and baker Valerie Rettberg-Smith describes the process. "We are a bakery that relies a lot on fermentation. All of our breads and pretzels and bagels that we make are all fermented 24 hours in our walk-in before we bake them out the next morning. It just really brings out all those flavors of the different flours that we use, but it also is, when you do ferment, it breaks down the gluten, which makes it more easily digestible. So, a lot of people who have an intolerance to gluten can eat long-ferment bread." Does fermentation—a long fermentation—affect the shelf life? Does it make it longer, shorter? "Yeah, it does have a longer shelf life because of it. It lasts longer. It really does make difference in the way that bread tastes. Every time I switch from eating a non-long-ferment bread to eating our bread, it sits easier in your stomach. It just has those probiotics and stuff that’s being built." How does fermenting change the flavor profile of bread? "We use a lot of organic farmer-ground flour from Trumansburg, New York, outside of Ithaca, and they do a wonderful job at making and milling this really great flour. And if you take a really great flour like farmer-ground and do this process, you can just really taste the difference." If you want something that tastes good and is good for your gut, give fermented foods a try. You body may thank you later.